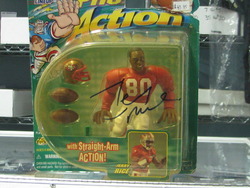 1999 Starting Lineup PRO ACTION (with Straight-Arm ACTION! 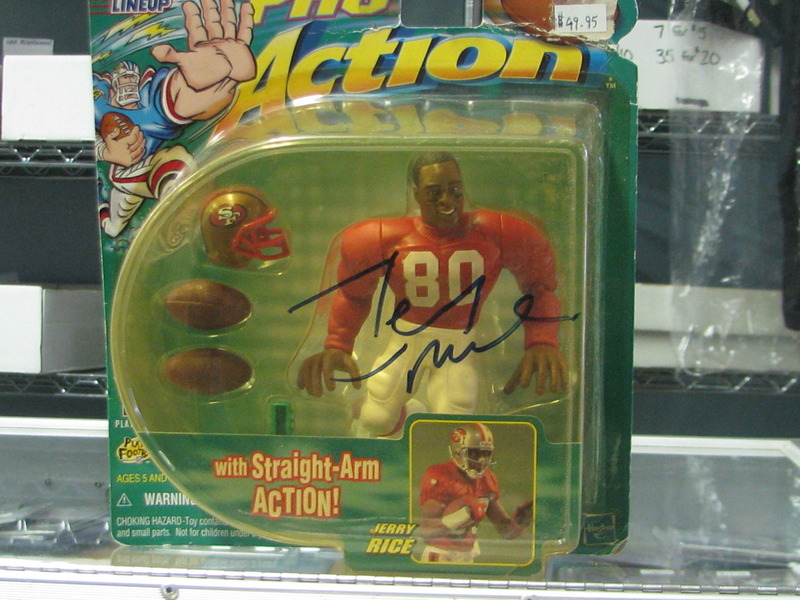 ), autographed by the NFL's Greatest Reciever Jerry Rice. All items are deemed AUTHENTIC and have a LIFETIME MONEY BACK GUARANTEE on the FULL PURCHASE PRICE.